Pre-Oscar Smack Down Session - Will You Be Ringside? FOR IMMEDIATE RELEASE: Los Angeles, CA January 20th, 2013 – Screenwriter and university professor Eric Edson will be joining the authors of Michael Wiese Productions for the annual Pre-Oscar Panel at the Writer’s Store in Burbank, CA on March 1st, 2014 1:00PM to 2:30PM. In this lively discussion moderated by Matt R. Lohr, MWP authors will discuss top picks for Oscars in all major categories. On the panel with Eric Edson for the March 1st festivities will be Steve Kaplan (The Hidden Tools of Comedy), JM Evenson (Shakespeare for Screenwriters) and Carole Kirschner (Hollywood Game Plan). 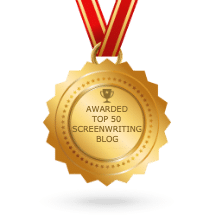 Michael Wiese Productions is the number one publisher in the world for books on indie filmmaking and screenwriting. The MWP Facebook page announces new releases, contests, and workshops every day, LIKE the MWP page for updates. The Writers Store is located at 3510 W. Magnolia Blvd. Burbank, CA 91505. Join the fun and make your predictions for FREE at The Writers Store on March 1, 2014. ABOUT ERIC EDSON: Eric Edson has written seventeen feature screenplays on assignment for companies including Sony, Warner Brothers, Disney, CBS, and Showtime, as well as writing for episodic television. He is author of the book “THE STORY SOLUTION: 23 Actions All Great Heroes Must Take,” and Director of the Graduate Program in Screenwriting at California State University, Northridge. 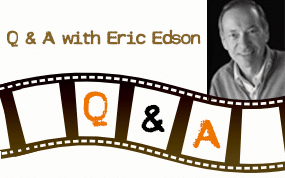 Follow Eric Edson on Facebook for screenwriting tips and resources. Good luck professor Eric Edson! Your book is inspirational and full of very good ideas. Whatever the result will be, you remain an inspiration to me.